2019 will see the launch of our brand new MAKE-UP ESSENTIALS - GOLD PACKAGE. We are really excited to introduce this amazing option within our current professional courses. Find out more about the course, the tutor and don’t forget, this is on offer in our fantastic JANUARY SALE! Over the last 8 years we have worked with many students aspiring to becoming professional artists and ready to kick start their professional careers. And we also often have students complete our professional courses purely to develop their skills for personal application. Each have their own personal goals and individual needs. We are fully committed to assisting all of our students in achieving these goals and, with our level of experience – not only as artists within the industry but as professional tutors who understand what it is like to be a student and what is required of us as tutors – we are successful in filling the needs of our students. You can check out some videos of students working here. From the first phone consultation I knew I was in best hands with Lauren. Whenever I had a question (and I had many :)) Lauren explained everything in detail which made me feel unbelievably comfortable and happy. The Price: Currently £810 in our January Sale! Within the Academy, we try to ensure our courses are structured to meet student’s need across a wide spectrum – and this includes course fees. We have a variety of courses available at different price points depending on your budget. All course content has been designed by Lauren and the Make-Up Essentials course is tiered to allow students to decide what benefits they prioritise. The Platinum package offers our full list of benefits and the Gold package offers a selection of these. The 5 day course is delivered by our Senior Artist - Carrie Duffy. Carrie has been a tutor with the Academy since 2014 and has over 17 years industry experience so you are good hands! She specialises in all aspects of makeup artistry and one of last year’s highlights for Carrie was heading up our backstage team at Scottish BAFTA. “I absolutely love teaching at the Academy, seeing how much our student’s skills and confidence grows throughout is astounding. Carrie and myself have worked together for around 15 years and it’s always fun, get’s the creative juices flowing and, sometimes, involves too much wine afterwards! We met sometime last year to discuss the GOLD package and Carrie is really excited to take on the role of lead tutor. She has a wealth of knowledge, is interesting to listen to and has a great manner when she teaches…even if she gets student’s names muddled up from time to time! The MAKE-UP ESSENTIALS course is suitable for aspiring artists who would like to pursue a career in make-up artistry, and also for artists who already have some basic training and knowledge. Carrie will teach you the fundamental techniques and product knowledge to allow you to create a variety of beautiful looks. You will discover how to create beautiful fresh, radiant skin through to mastering the most glamorous smokey eye. We will educate you on how to create each technique using our product ranges from MAC, Illamasqua and MYKITCO™ professional brush collection. “In this course it doesn’t matter how much makeup experience you have! We will assist you throughout and challenge you to achieve…and we have fun in doing so! The delivery of the course content is structured to build everyone’s skills to the highest level of precision and professionalism in easy to achievable stages. 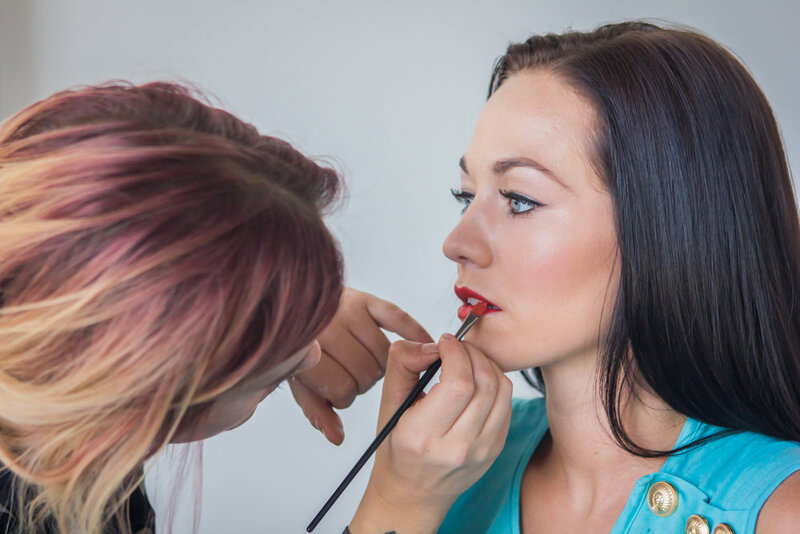 If you are considering a make-up course and like the sound of our Gold package, please get in touch and we‘ll be happy to provide you advice on getting started. REMEMBER, WE HAVE 10% DISCOUNT ON ALL COURSES IN OUR JANUARY SALE!! 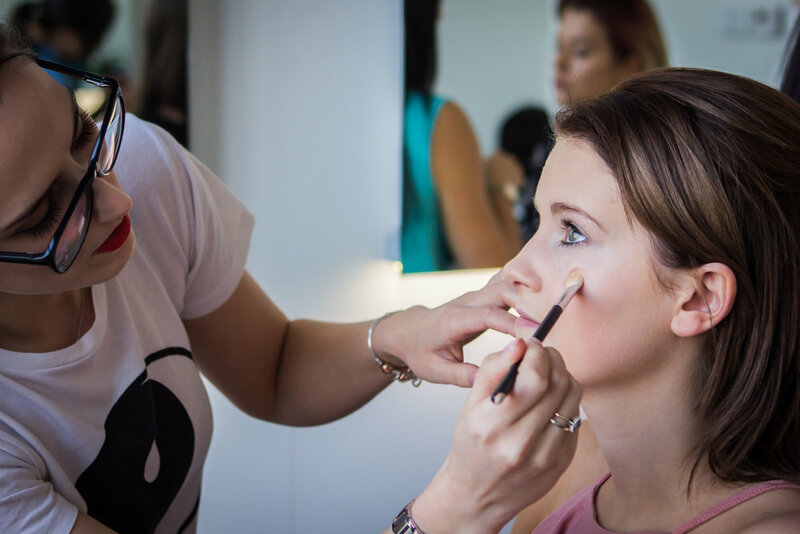 Planning your bridal make-up…our essential guide to getting it right! Subscribe for exclusive offers, events and make-up tips.